Who doesn’t love a casserole dish? A well-made casserole dish is a very nourishing and comforting dish, at the same time meeting one’s dietary requirements. If you are finding it difficult to squeeze in a healthy homemade meal into your busy schedule then look no further than these 10 healthy casserole recipes which are not only easy to prepare but equally tasty. With just about four to five ingredients you can quickly rustle up this hearty Mexican casserole. If you are looking for a spicy cheesy dish then this is the right one for you. 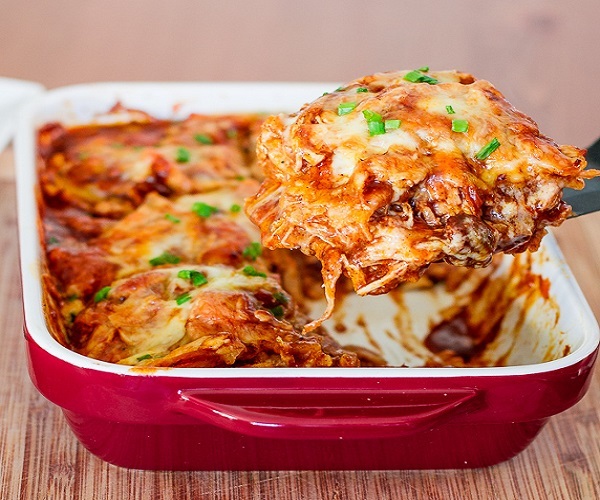 Chicken is cooked in a spicy enchilada sauce which is then layered in a casserole with tortillas, cheese and some more sauce. The heat from this dish is guaranteed to drive away those winter chills. Get the recipe here. 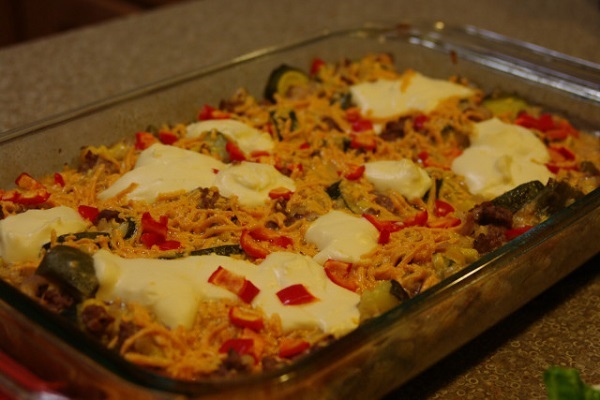 This casserole makes for a great wholesome breakfast. 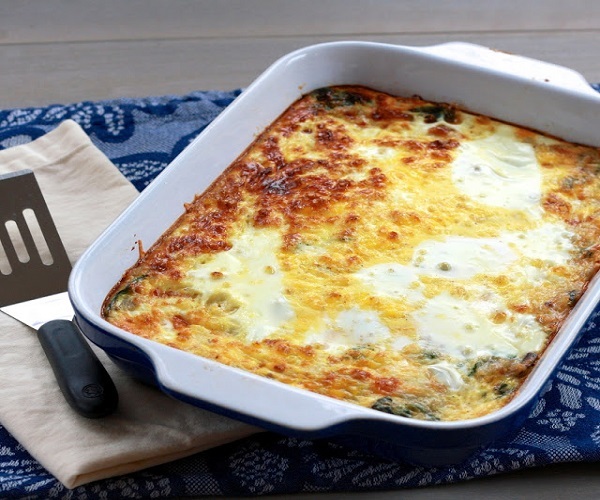 Eggs, hashed browns, onions, garlic, spinach, bacon all come together in this wonderful casserole dish. Save time by preparing it one night in advance. Simply add eggs in the morning and put it in the oven to bake. A wonderful way to tantalize your taste buds early in the morning. Get the recipe here. 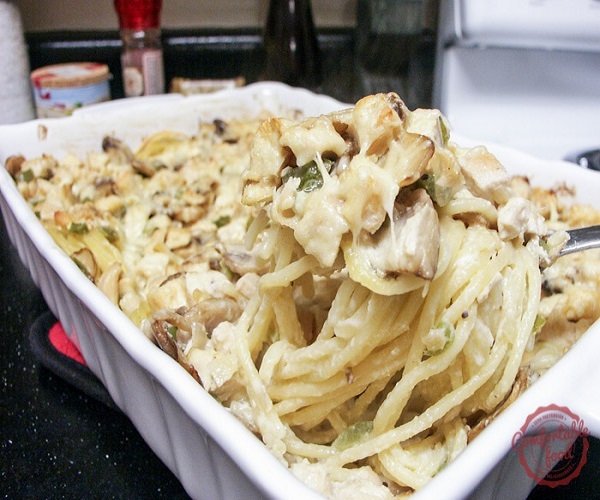 Chicken tetrazzini casserole is a great way to use up all those leftover chicken lying unused in the fridge and you not knowing what to do with them. 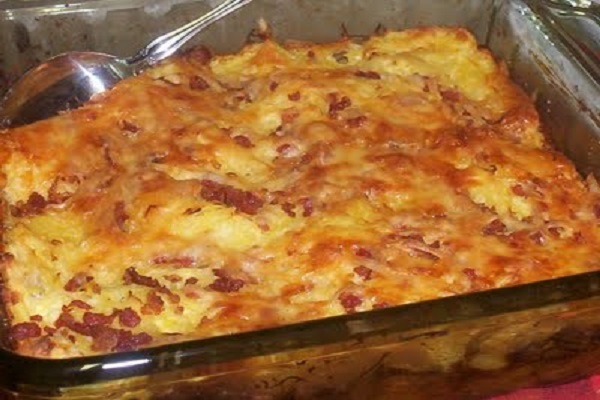 This extremely easy to make casserole is amazingly tasty. Throw in a handful of vegetables, sprinkle some cheese, add some sherry for added benefit and you are ready with a delicious dish. It’s a very flexible recipe which means you can make your own permutations and combinations with the ingredients. Get the recipe here. 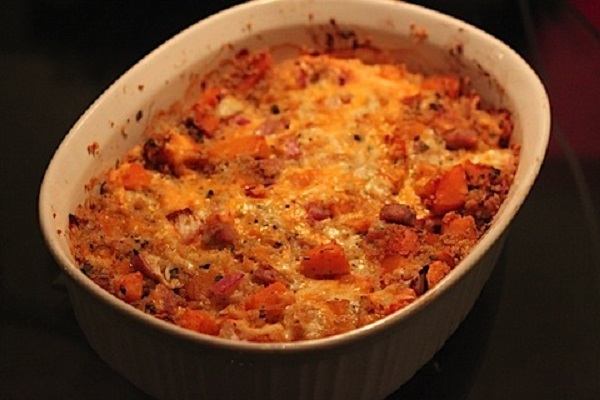 Butternut squash casserole is a very simple and homely dish ideal for those cold winter evenings. The sweetness from the squash and the creaminess from the cheese are bound to please your palate. Opting for a strong, piquant cheese will further enhance the taste. This is a great low calorie dish which provides you with ample nutrients such as vitamins, minerals, antioxidants and fiber so you don’t have to worry in case you over-eat. Get the recipe here. Bring the whiff of the Mediterranean right into your kitchen with this classic Greek casserole dish. 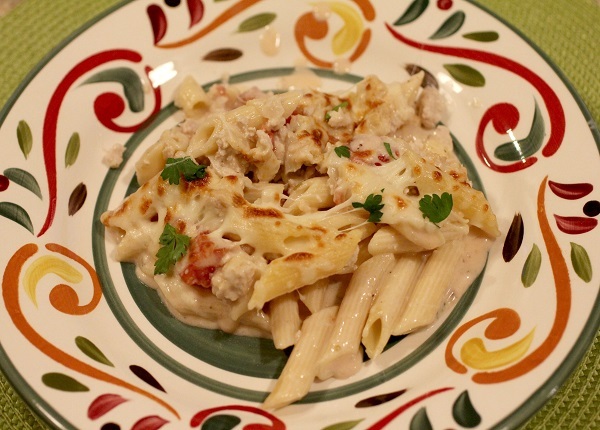 Meat, pasta and cheese make a wonderful combination and come together well in this dish. Pasta layered over with a rich meaty sauce and covered on top by a rich béchamel layer proves to be a very comforting meal. Vegetarians can skip the meat part and opt for an assortment of vegetables instead. It tastes equally good. Get the recipe here. 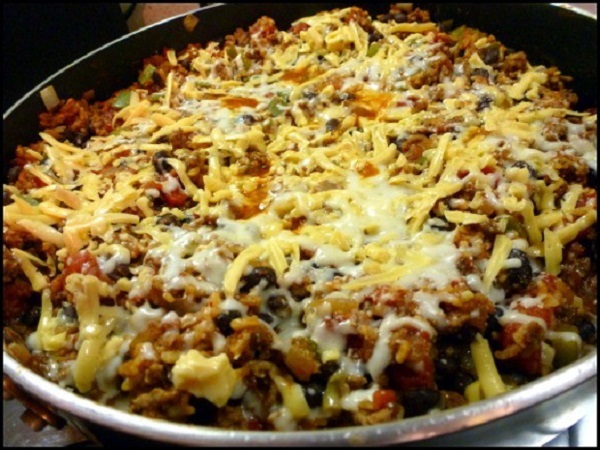 This is quite a popular dish and a very tasty one at that comprising of a mixture of ground meat, onions, bell peppers, tortillas, spices, sour cream, cheese and loads of beans. This is one spicy dish using lots of chili powder and jalapenos where the amazing ingredients blend together to create a wonderful mélange. Get the recipe here. Fish lovers have their very own tuna casserole. 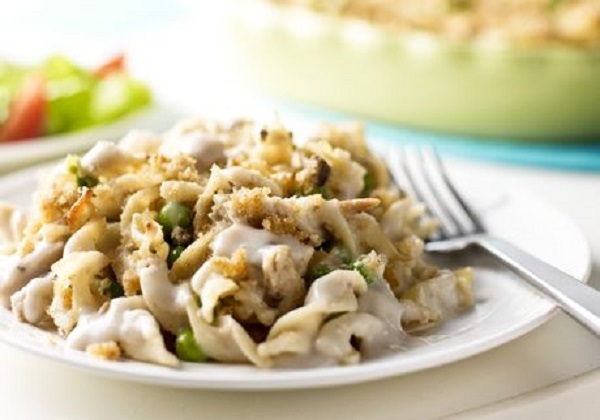 Rich, creamy tuna on a bed of egg noodles and peppered with peas and mushrooms makes this a must- have casserole. Creamy mushroom soup is what holds it together. You could however make a leaner version of this casserole by cutting out the cream of mushroom soup and substituting it with chicken broth. Sprinkle a handful of bread crumbs on top to give it a nice crunch. Get the recipe here. If you are yearning for some spaghetti, then go for this classic Italian casserole recipe comprising of spaghetti, minced meat, cheese and lots of seasonings that will set your hearts aflame. The tangy spaghetti sauce blends well with the creamy sauce resulting in a creamy spaghetti dish. The Italian seasonings added to this recipe take it to an all new level. Get the recipe here. This is a very healthy casserole dish consisting of rice and a whole host of vegetables. The smoky flavors from the veggies and the herbs add a unique flavor to the rice simmering away gladly in the vegetables juices. The eggs and the cheese help bind the dish in one cohesive whole. You can up the health quotient by substituting brown rice for white rice and also cut down on the cheese. Get the recipe here. 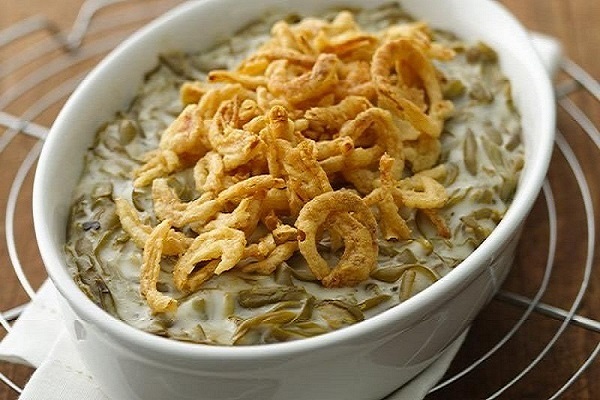 Green bean casserole is one of those dishes we have grown up with. A staple at Thanksgiving, you don’t need a festival to prepare this lovely dish. A lovely casserole that incorporates lots of fresh green beans and an array of vegetables held together by a creamy mushroom soup. The crunchy fried onions on top offset the creamy vegetables wonderfully. Get the recipe here.